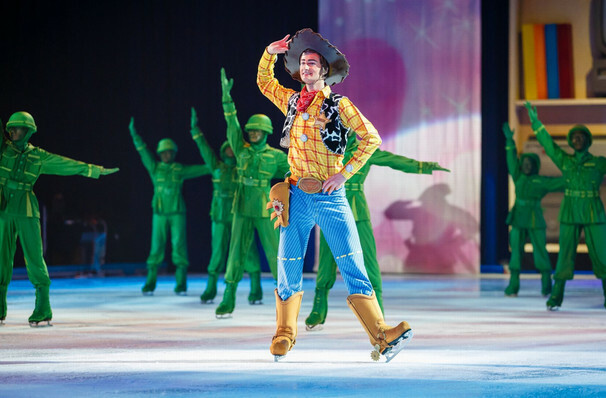 This Disney On Ice production will touch audiences emotionally through innovative show elements and world-class skating. 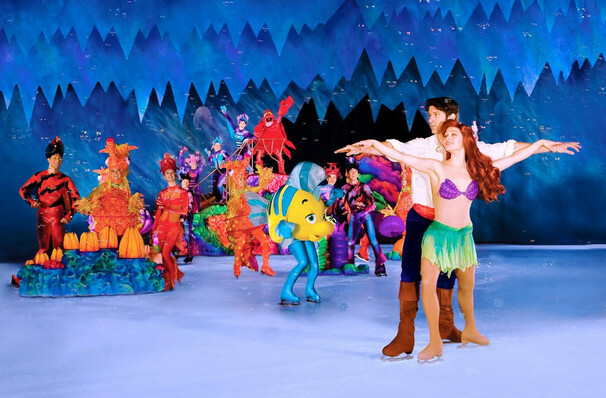 Why See Disney On Ice: Worlds of Enchantment? 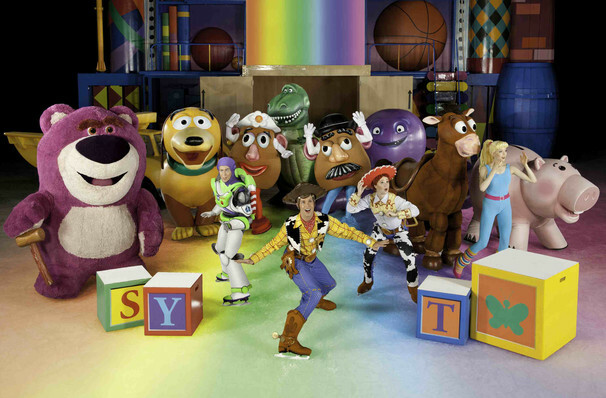 Disney returns to the ice with a brand new spectacular! Hosted by Minnie and Mickey Mouse, Worlds of Enchantment is a feast of color, music, and dance featuring some of the most beloved characters, including Toy Story's Woody and Buzz, Cars' Lighting McQueen, The Little Mermaid's Ariel and two sisters from the kingdom of Arendelle that you might just recognize. What can i expect from worlds of enchantment? Each year Disney create ever more astonishing extravaganzas celebrating their magical characters and stories and this one is the best yet! With stunning songs and costumes, puppets and special effects, you're invited to delve back into the studio's most memorable moments, as you've never seen them before. Broken into four parts, Worlds of Enchantment will take you on a journey to the Ariel's world, the Sunnyside daycare center of Toy Story 3 and Lightning McQueen's racing debut, before we head to Arendelle to catch up with Anna and Elsa and of course, loveable goofball snowman Olaf! 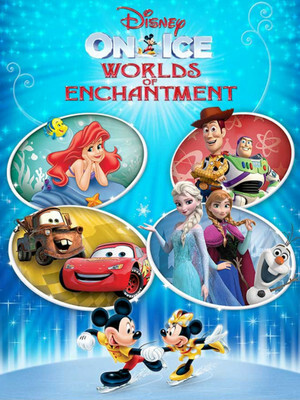 Worlds of Enchantment is the perfect family outing for all fans of Disney, old and young. The upbeat sounds and incredible skating feats make it a no-brainer when it comes to keeping the little ones happy. Sound good to you? 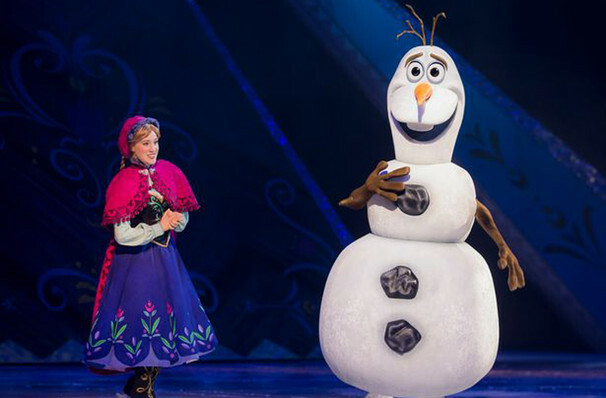 Share this page on social media and let your friends know about Disney On Ice: Worlds of Enchantment at Pechanga Arena. Please note: The term Pechanga Arena and/or Disney On Ice: Worlds of Enchantment as well as all associated graphics, logos, and/or other trademarks, tradenames or copyrights are the property of the Pechanga Arena and/or Disney On Ice: Worlds of Enchantment and are used herein for factual descriptive purposes only. We are in no way associated with or authorized by the Pechanga Arena and/or Disney On Ice: Worlds of Enchantment and neither that entity nor any of its affiliates have licensed or endorsed us to sell tickets, goods and or services in conjunction with their events.